Yi, *Meggie*, Auctioneer & Realtor has done it all. 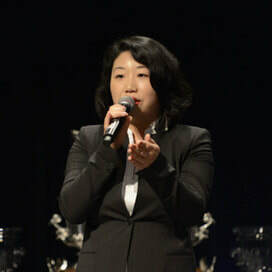 As if years of globetrotting, two Masters degrees, and several nominations for Volunteer of the Year Award weren’t enough, she’s also the owner & lead auctioneer of Mei Auctions, and the first Chinese American woman to hold the Benefit Auctioneer Specialist (BAS) designation through the National Auctioneers Association (NAA). Having spent her childhood traveling with her father through the early years of his medical career, her outlook on life has been shaped by several cultures and influences. For her, service to the community is not just a personal passion, it’s a family legacy. ​Meggie’s got a serving spirit, and a leading heart. Throughout her vast volunteer “career,” she’s been a pillar in her community. From volunteering with the American Red Cross in Fort Polk, Louisiana to teaching English and Army Family Team Building courses to service and family members, she has racked up over 2,000 service hours. She is part of the effort to leave the world a better place than she found it.